The ability to broaden horizons and educate on the lesser-known areas of the spirit and cocktail world. Not being able to spend time with my friends who don’t work in the industry. Daiquiri is the epitome of a perfect cocktail. It highlights that beautiful homeostasis between citrus, sugar and spirit. It’s simple, but oftentimes less can be more. Non-alcoholic beer and a shot of Jack. Our chef and owner Peter [Mistretta] has long been dedicated to developing relationships and sourcing from nearby farmers and purveyors. His menu is built around using fresh, local and seasonal ingredients. That idea also applies to our cocktails; we like to incorporate fresh fruits and vegetables for seasonal riffs on classics. 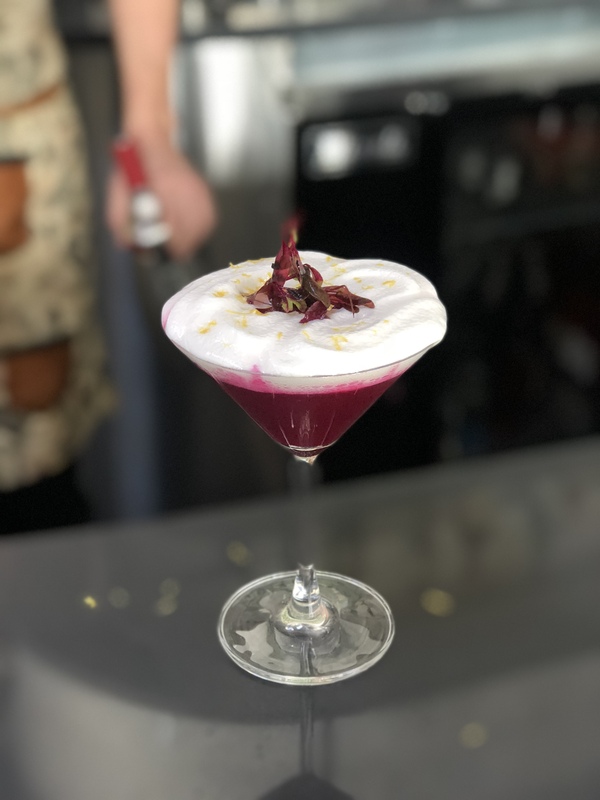 It’s fun because customers can pair a dish and cocktail showcasing the same ingredient. To that, our drink menu is a collaboration between myself, my other bartenders and our kitchen team, so I can’t take all of the credit. 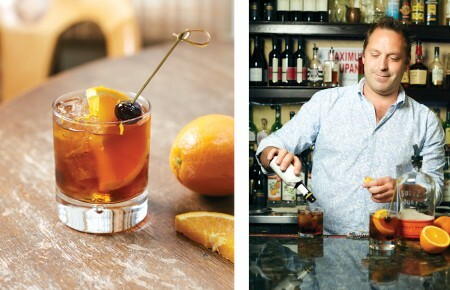 A rye Old-Fashioned or a Cognac Sazerac. Doesn’t matter where you’re working or what you’re doing, the hospitality aspect supersedes everything. Also, you can’t work efficiently if you’re not clean and organized. Hurricane Chedd. I love tiki culture. Dale DeGroff. He’s the catalyst for everything I do behind a bar. I was born and raised in Boston, so definitely keeping up with the sports teams back home. The Giants have nothing on my Patriots. Eastern Standard in Boston. It looks like a swanky five-star restaurant, and the food is Michelin star level. But it doesn’t take itself too seriously. 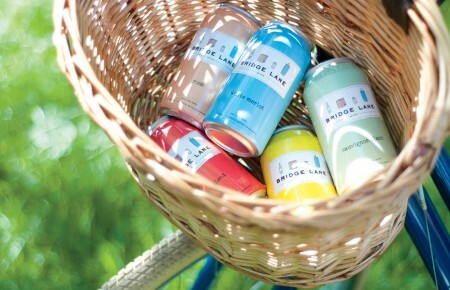 You can have an amazing cocktail or bottle of wine with a chef’s tasting menu, or you can have a High Life and a shot. The Trinidad Sour at Drink, again in Boston. It blew my mind because it takes classic cocktail proportions and flips them on their head. Duck fat, thinking it was ginger syrup while I was prepping for a shift. Sixth grade, in a basement with a warm 12-pack of Icehouse and a few good friends. We all left that night a few good idiots. “Down and Out” from Cam’ron and Kanye. This riff on a Cosmo stems from the seasonal and market-driven approach we take at Perennial. 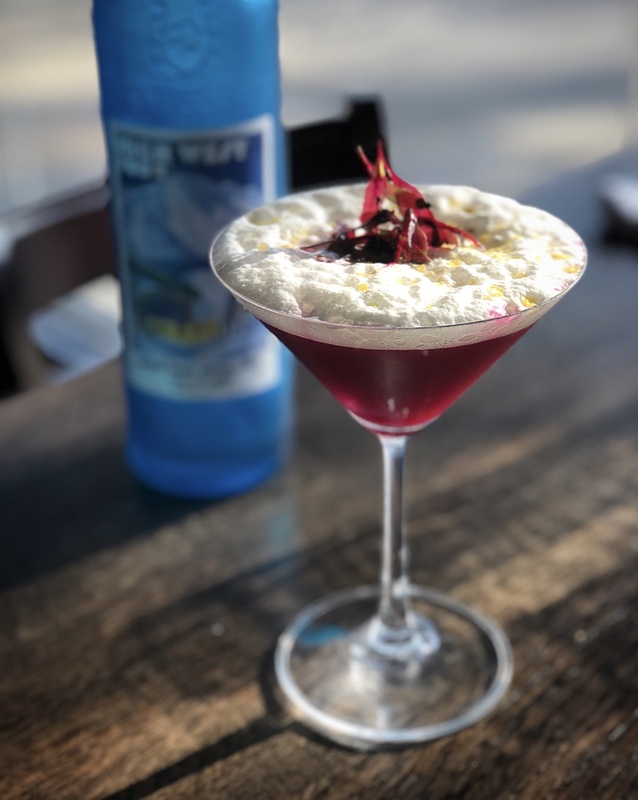 As a substitute for cranberry juice, we use freshly juiced beets which add a vegetal element and subtle acidity to complement the inherent sweetness of the blood orange and agave. It’s hard to ignore the gorgeous color, a deep, rosy hue, that just a half-ounce of beet juice imparts. For added complexity, elderflower foam provides a textural component and some bright elderflower flavor to the cocktail. And the zests add a really fresh aroma on the nose as you go in to take your first couple of sips. 1) Add beets to blender and blend until pureed. 2) Pass mixture through a mesh strainer into a glass. You should have about a half-ounce of beet juice. 3) Combine all ingredients in a mixing tin. 4) Add ice and shake until chilled. 5) Strain into a chilled martini glass. 6) Top with elderflower foam and garnish decoratively. 1) Combine the St-Germain, lemon juice and simple syrup in a saucepan over low heat. Add the gelatin and stir until dissolved. 2) Remove from heat and let sit for at 10 minutes. 3) Place egg whites in a bowl, then whisk in the cooled mixture until incorporated. 4) Pour mixture into iSi whip canister and seal. Charge with a N2O charger and shake well. Remove the charger and repeat with a second charger. 5) Refrigerate overnight. Shake well upside down before using. The foam will keep in the cream whipper in the refrigerator for up to one week.